When it comes the red carpet treatment, HighTech Events knows a thing or two about doing it right. 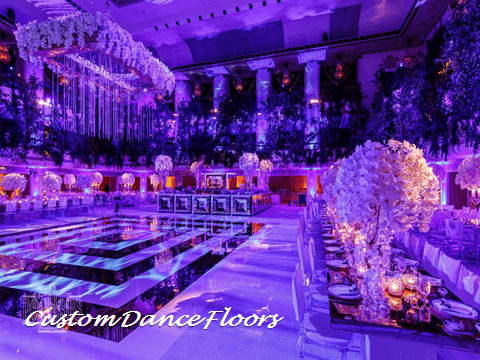 That’s because they are the experts in transforming ordinary spaces into extraordinary event settings. Their clientele? Event designers to the rich and famous! “It’s a great honor to be selected to design for designers of such high caliber,” said Robert Harrington, owner of Manna Design Works. I’ve seen HighTech’s work and it’s amazing. I am in awe of their ability to look at an empty room and know exactly how they plan to turn it into the masterpiece their clients have envisioned. ” Manna web designers and developers will be working with HighTech owner, Brian Shemeley to create the company’s new website. The site is being designed using the WordPress platform and will feature an interactive gallery and content management system. “HighTech’s work deserves to be displayed in a unique way – one that really does it justice,” says Harrington. “We plan to do that and more and look forward to getting started.” HighTech Events is located in West Deptford, New Jersey (NJ), at 1501 Grandview Avenue (Suite 200). Manna Design Works specializes in website design and development. With hundreds of completed sites in its portfolio, Manna has become an expert, not only in design, but in Search Engine Optimization, Mobile Optimization, WordPress security, and more. Other Manna website clients include: Crossroads of the American Revolution, Stevens Institute of Technology, South Jersey Gas, Philly Visitor and more. Manna Design Works is a full-service NJ Web Design Company and Creative Marketing Firm located in New Jersey (NJ), just outside of Philadelphia, PA in South Jersey.